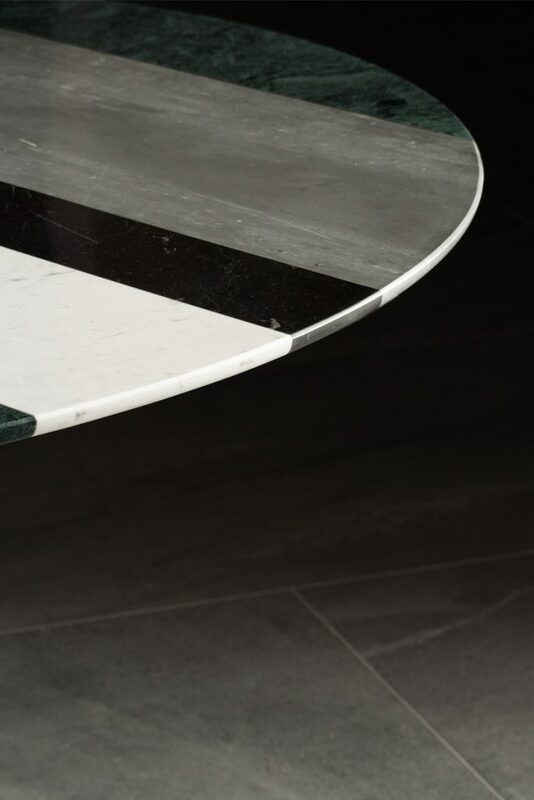 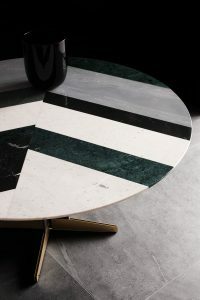 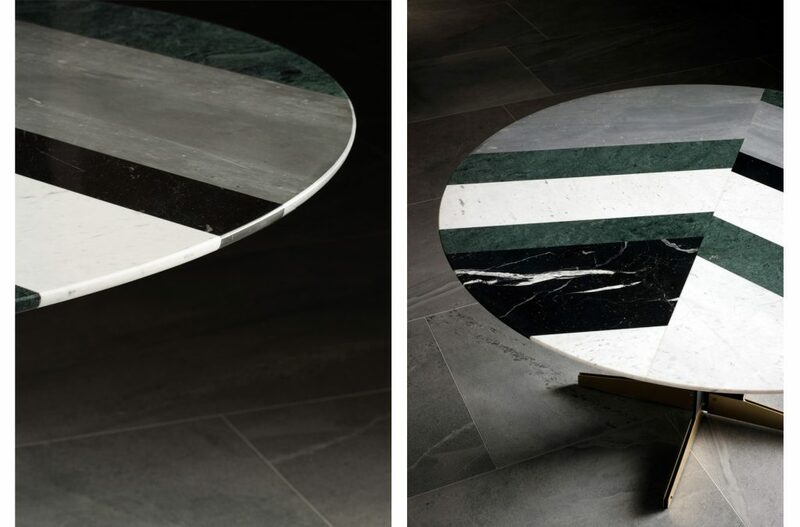 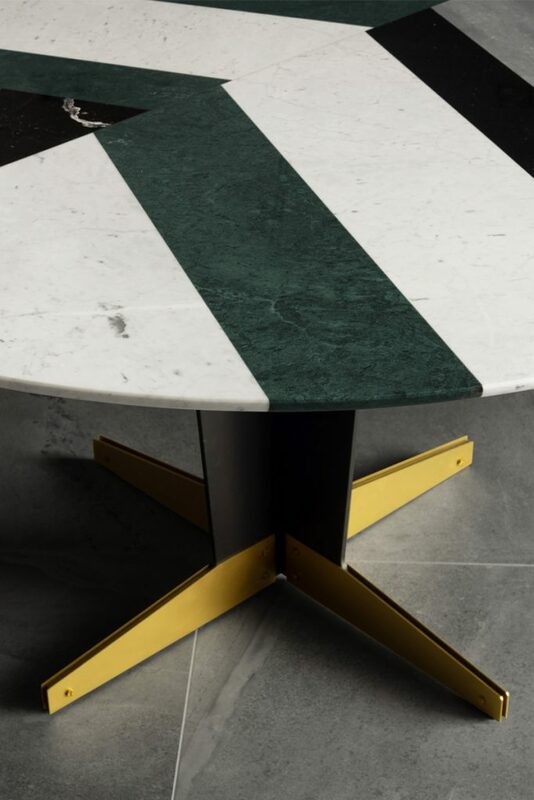 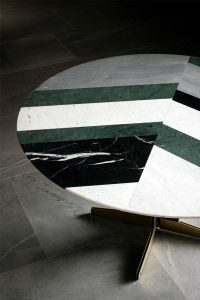 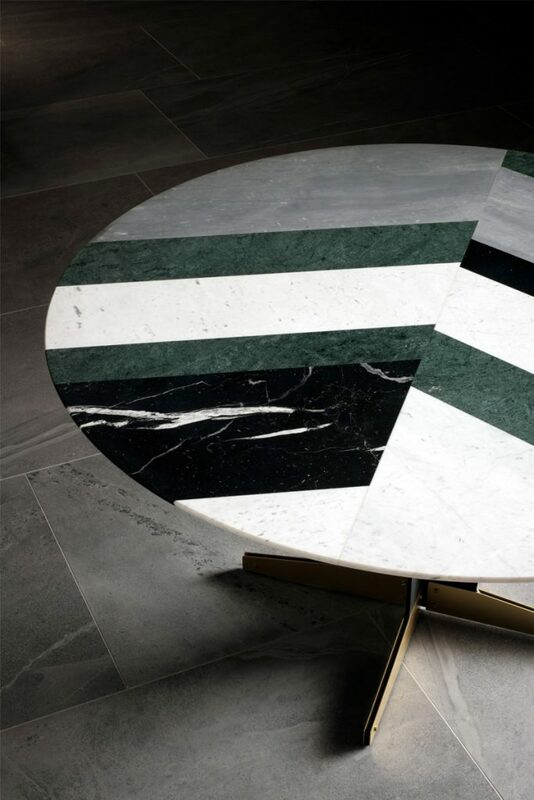 The soft form of table creates a vivid contrast with the marble top in strong and decisive tones. 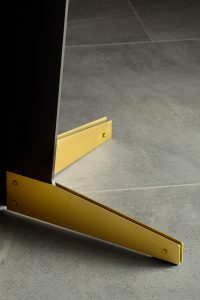 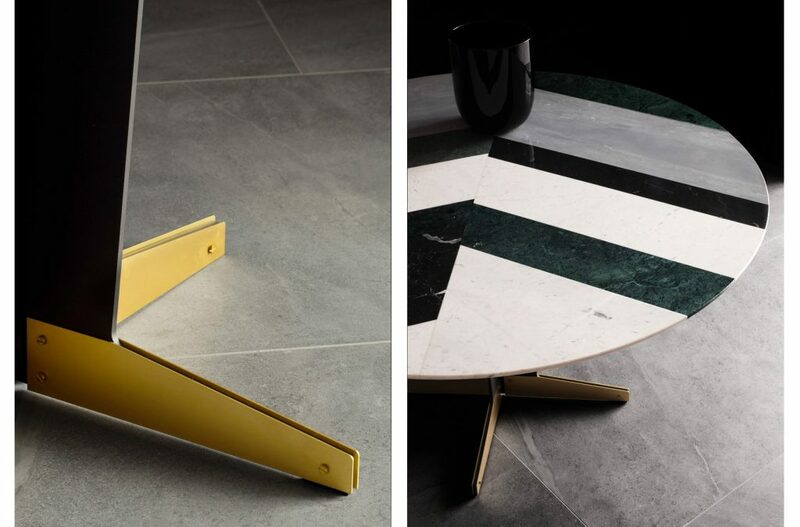 The rounded form coupled with mixed and decisive colors is supplemented by an iron leg with basement in brass. A shapes and materials union which perfectly converse among each other to realize a sculpture table.